The measures, which received an initial nod from European Union and International Monetary Fund officials before a meeting of euro zone finance ministers later today, were passed with the support of pro-European opposition parties. With Greece’s banks shut and completely dependent on a credit lifeline from the European Central Bank, the measures were seen as a last chance to avert the collapse of the financial system and prevent Greece from being pushed out of the euro. In an ominous sign for the stability of the government, however, 10 deputies on the ruling benches either abstained or voted against the measures and another 7 were not present, leaving Tsipras short of the 151 seats needed for a majority of his own. Tsipras had said that he would resign if he lost the vote in Parliament. Some quoted him as saying that he would resign if he falls short of 151 lawmakers from his own camp. The vote sugests that in order to implement the reforms, Tsipras would need the continuous support of the opposition in Parliament. It is also unclear how would a government where several hardliners sit implement the reforms. Prominent leftwingers in the governing Syriza party signalled before the vote that they could not support the mix of tax hikes and spending cuts proposed by Tsipras, following the rejection of similar austerity measures by voters in Sunday’s referendum. “The government is being totally blackmailed to acquiesce to something which does not reflect what it represents,” Constantopoulou said. Following the vote in parliament, where many leftists in his own party were stunned by his acceptance of previously spurned austerity measures, Tsipras said he would now focus on securing a deal. “The parliament today gave the government a strong mandate to complete the negotiations and reach an economically viable and socially fair agreement with its partners,” Tsipras said. Experts from the European Commission, ECB and the IMF spent Friday reviewing the Greek case for aid and the proposals for economic reforms that will be conditions for any loans. A person close to the matter told Reuters that EU and IMF officials had given euro zone governments a positive initial assessment of Greece’s request for a new bailout. The positive evaluation, along with a conclusion that Athens needs a total of some €74 billion to meet its obligations, will form a key part of discussions among euro zone finance ministers when they meet in Brussels at 3 p.m. (1300 GMT). But after the jubilation in Athens on Sunday following the resounding rejection of further austerity in a referendum, there was bitterness that parliament was being asked to accept a strikingly similar package of measures. 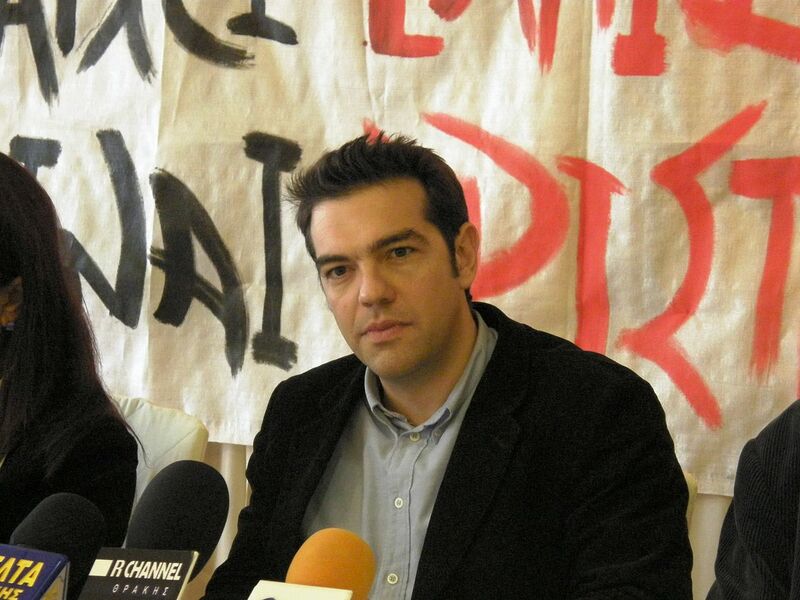 Five members of Syriza’s hardline Left Platform wing signed a letter saying it would be better to return to the drachma, Greece’s pre-euro currency, than to swallow more austerity with no debt write-off. “The proposals are not compatible with the Syriza programme,” Lafazanis, who belongs to the far-left faction, told Reuters before the vote. Underlining the unhappiness of many on the left at the government’s apparent embrace of austerity, a few thousand demonstrators gathered in front of parliament before the vote to protest against the measures. Germany, which has contributed more to bailouts than any other country, sounded wary. A finance ministry spokesman ruled out any debt restructuring that would lower its real value. France, Greece’s strongest supporter in the euro zone, rushed to offer praise. President François Hollande called the offer “serious and credible”. Eurogroup head Jeroen Dijsselbloem described it as a “thorough piece of text” but declined to go into specifics. The lenders’ backing is crucial for euro zone leaders to support the proposals. Dijsselbloem, European Commission President Jean-Claude Juncker, ECB President Mario Draghi and IMF head Christine Lagarde discussed the plan in a teleconference. The euro gained more than 1% against the dollar and European markets rallied on the improved prospects for a last-ditch deal to keep Greece in the currency area. Italian, Spanish and Portuguese bond yields fell, reflecting perceptions of reduced risk. U.S. Treasury Secretary Jack Lew said Greece and its creditors appeared to be closer to a deal, calling for an adjustment to Athens’ debt burden to ease its cash flow. Some, including a senior member of German Chancellor Angela Merkel’s party, greeted the latest reform proposals with scepticism. Slovakia’s finance minister questioned whether the proposals went far enough. A senior EU official said the meeting of finance ministers from the 19-nation euro area would include discussions on whether Greece needs some debt relief on a third bailout programme despite exasperation at the five-year-old Greek crisis. Greece asked for €53.5 billion to help cover its debts until 2018, a review of primary surplus targets in the light of the sharp deterioration of its economy, and a “reprofiling” of the country’s long-term debt. Any new deal would also have to be endorsed by national parliaments including in Germany. Estonia’s parliament was the first to give the government conditional authorisation for loan negotiations with Greece, provided the Commission finds sufficient basis for the talks. But Lithuanian President Dalia Grybauskaite, whose country is the most recent newcomer to the euro, said the Greek proposal was based on old economic data and would probably not be enough. Several protests against the package took place on Friday. “The new measures are suffocating,” said Irini Skordara, 79, one of dozens of pensioners queuing outside a bank to withdraw their pension. Former Finance Minister Yanis Varoufakis, who alienated many euro zone partners with his outspoken lectures, said in a statement he supported the effort to renegotiate Greece’s debt but was unable to attend parliament “for family reasons”. Greek banks have been closed since 29 June, when capital controls were imposed and cash withdrawals rationed after the collapse of previous bailout talks. Greece defaulted on an IMF loan repayment and now faces a critical July 20 bond redemption to the ECB, which it cannot make without aid. The country has had two bailouts worth €240 billion from the euro zone and the IMF since 2010, but its economy has shrunk by a quarter, unemployment is at more than 25% and one in two young people is out of work. “The prime minister seems to have made the right choice between his party and the interest of Greece,” an editorial in the centre-right daily Kathimerini said.